How is your Independent Pharmacy Business dealing with the mail order pharmacy onslaught? Advocate on behalf of your patients. Contact their insurance companies for them and make your case why mandatory mail order will be detrimental to your patient. Ask Insurance companies to allow an exemption from the mandatory mail order clause. Assist your patients when they call their insurance companies and ask for the exemption in the mandatory mail order clause. Encourage your patients to call, email and phone their local, state and federal legislators requesting a choice for their prescription delivery. Encourage patients to post on legislators blogs and social media platforms such as Facebook, Twitter and YouTube. Become active in your local and state pharmacy associations and support their efforts to overcome mandatory mail order. Success is already happening in New York and Oklahoma and other states will follow. Use your pharmacy’s social media platforms such as Facebook, Twitter and YouTube to get the message out to your followers and to gain support and spread the word. Educate your patients on the realities of mail order pharmacies such as when the CEO of Express Scripts (not a pharmacist) looks at their lives as a commodity and completely discounts the value of the pharmacist by saying “At the end of the day … Nexium is Nexium, Lipitor is Lipitor, drugs are drugs, and it shouldn’t matter that much who’s counting to 30,” Comments and attitudes like this can only cripple the healthcare system further and escalate costs. 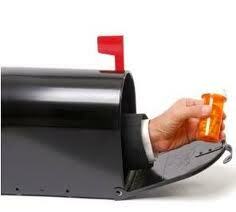 Contact local media in your area to do a story on mandatory mail order and interview you and highlight your pharmacy.